Amelia Ashley is being stalked by demons who want her soul and her power, haunting a deadly bridge at the edge of town causing death and mayhem to the small town around it. But Amelia has one choice left, one opportunity to change to destroy the bridge. But it might mean she will lose her soul and never see Joshua again. 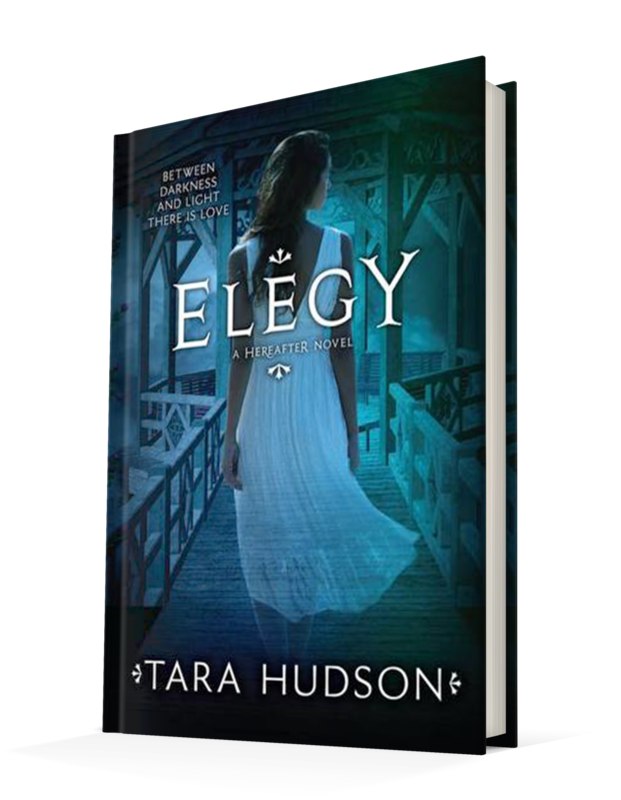 Published June 4, 2013, by HarperTeen, Elegy by Tara Hudson is the final novel in her paranormal romance Hereafter trilogy. As the final novel in the series it’s not expected to have a happy ending, from the first novel there was this knowledge that this story wasn’t going to end with the two love birds being together, but the relationship, the romance there, the dynamics between Joshua and Amelia made the reader want it, making the ending here even more heartfelt. That’s probably the strongest aspect of the story: the characters. Amelia has gone from being meek to a strong fighter. That’s not to say she wasn’t always strong, it just changed as she grew. Initially, she was a scared confused girl who had no memory of her life when she was living. So, understandably, she was scared. But then the fight came to her when the demons began to threaten the people she loves. That love and strength has allowed her to grow as a character and as a heroine. She’s believable because of that willingness to fight for what she believes in, to fight to protect the people she loves. She’s willing to do what needs to be done even if it’s going to break some hearts, because it’s for the greater good. Together that makes her likable. She is flawed, there are no doubts about that, but her flaws serve as reminder that she’s human. Admittedly there are times when she verges on being a “Mary Sue” caricature, but then the writer does something to keep her away from crossing that threshold into unbelievability. The same can be said for the other characters in the story. They are all so different from who they started out as in small yet powerful aspects. People change in small way every day, but those small changes add up. From their attitudes to how they relate to one another and how they talk, the characters have been impacted by what has happened around them, and that makes them a good set of characters to read about and follow. As for the story, itself it’s very tension driven and mostly character driven. There are plot devices that help move the story along and help create tension, but the tension between the characters, again, is the driving force. The story itself isn’t bland, it has good villains that are scary in their believability, they sneak and stalk and kill without remorse. These are true villains here. They help create the balance between the light and the dark and stories that has villains that exist within the plot without being on every page. Their presence creates an eerie and dark atmosphere and the ending, there are so many things that could have gone wrong, so many aspects that if ill-structured, they would have made the tension in the story less impactful.